Great Outdoors Palm Springs - SPECIAL HALLOWEEN COSTUME PARTY hosted by George, Tony & Eddie. PLEASE REGISTER. SPECIAL HALLOWEEN COSTUME PARTY hosted by George, Tony & Eddie. PLEASE REGISTER. Click on the "Register" button below to let us know you are coming. Guests are welcome. 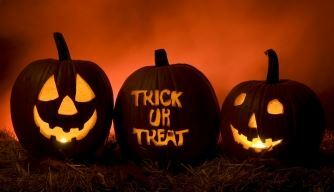 Welcome all ghosts, goblins, ghouls and assorted characters! Please show your true "spirit" and wear a Costume! ACCESS/PARKING: There is plenty of parking on E. Bellamy Road. 1.) Your own "adult" beverages. Our hosts will provide water and soft drinks. NOTE; Our hosts are generously providing a (Mexican theme) meal to include main dish, salad and chips & salsa. PLEASE REGISTER FOR THIS SPECIAL EVENT SO WE CAN ESTIMATE THE AMOUNT OF FOOD TO BE SERVED.